Five men, all identified as members of the Traveling Vice Lords street gang, allegedly fled from the van and were arrested after being found on a nearby rooftop. 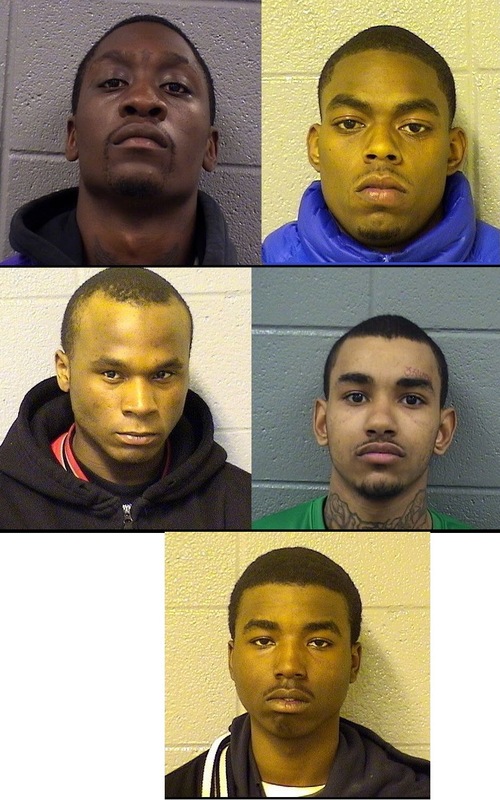 Angelo Perry, 22, of Roseland; Harold Wade, 21, of West Garfield Park; and Christian Buie, 23, Jeramie Murry, 25, and Mychael Williamson, 18, all of Humboldt Park, are each charged with one count of trespassing and one count of theft of lost or mislaid property. Bail for each is set at $10,000. Members of the Chicago Police Department’s auto theft special prosecution unit reviewed the case, but did not find enough evidence to pursue felony charges. All of the men have criminal records, with narcotics possession and distribution being a common theme. Stolen catalytic converters are resold for scrap at $80 to $120 a pop.